The Brennan School of Healing Science is the only healing school in the world and United States, that is licensed by the Florida Medical Board and offers a Bachelor of Science degree. Based on an integration of of eastern medicine, psychology, quantum physics and spirituality, energy psychology supports research based evidence, that emotional issues are a reflection of disturbed bio-energetic patterns in the human energy field. I don't think I would have ever gotten the personal growth that I have achieved if I had not gotten counseling. 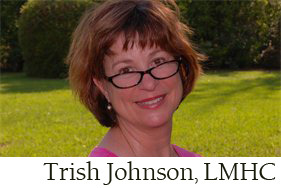 Trish Johnson is an amazing therapist who is sensitive and caring. I highly recommend her services. Ms. Johnson is such a professional, who has treated me with respect and dignity, by asking insightful questions that have allowed me to discover who I am and what I want. If you want to make changes in your life quickly, real and lasting change go see Trish Johnson, she's the best. Below you can download our psychosocial form to fill in before your visit. 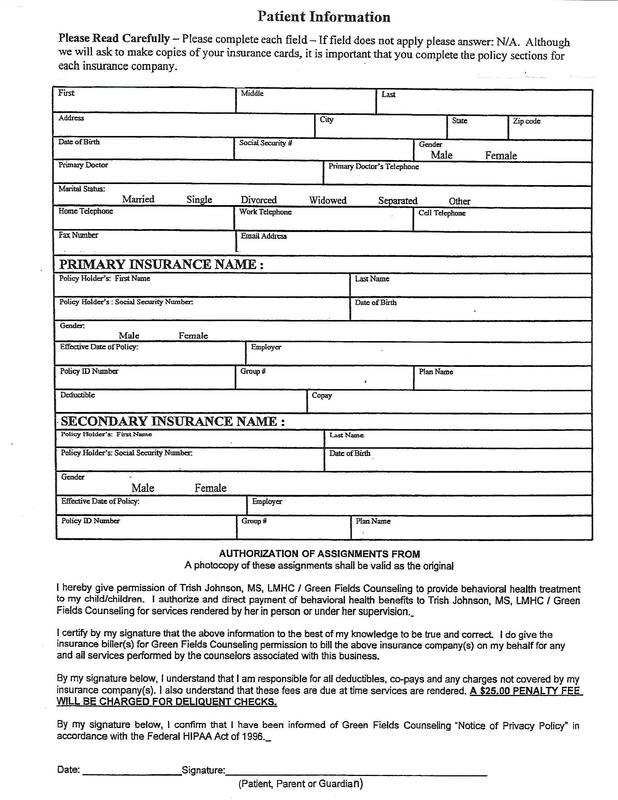 This will help streamline the process and get you taken care of in a much more timely manner. Please print and fill in the form and bring it with you. Copyright © 2012 Trish Johnson MS, LMHC. All rights reserved.